While wandering around this afternoon in our server room/IT storage cave, I ran across this pristine copy of the OCLC Terminal Software User Guide ca. 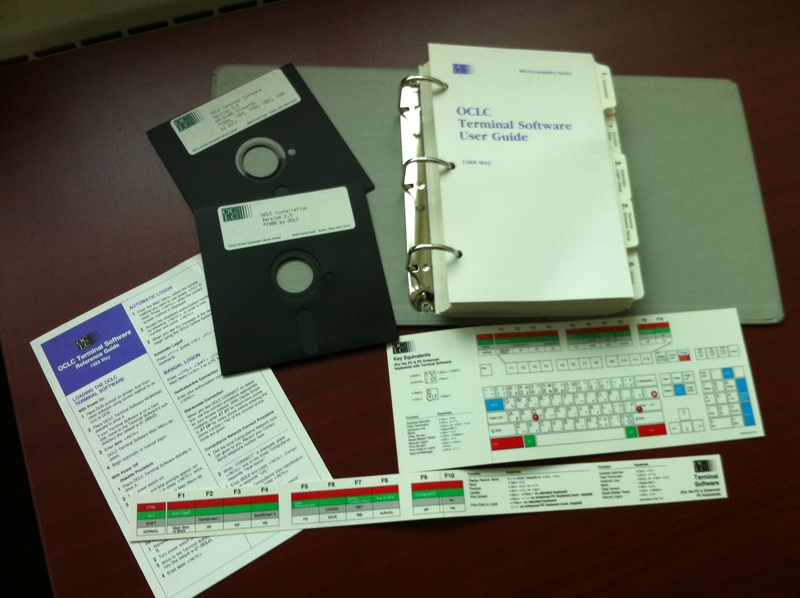 1988, complete with laminated keyboard shortcut guide and function key decoder. 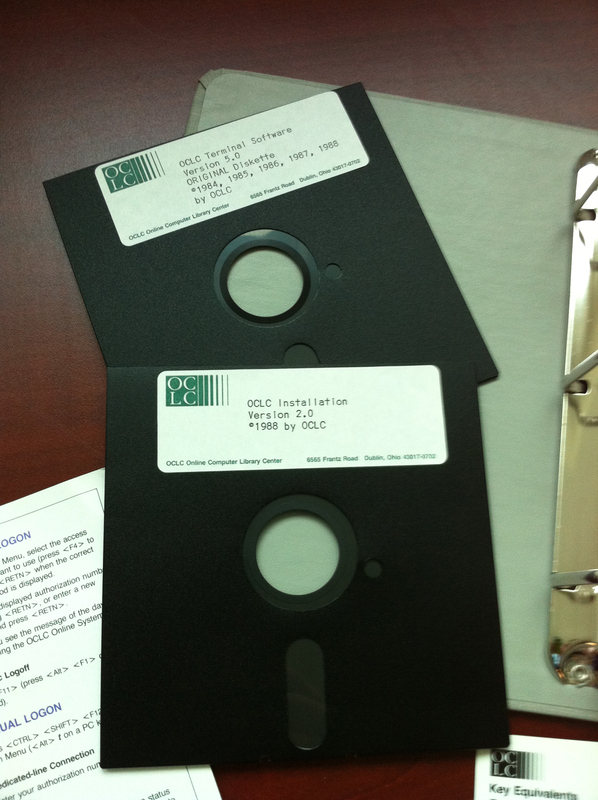 For me, the 5.25″ mint condition floppies are the pièce de résistance of the whole lot. And now I will do my part to clean up our cave and put the whole mess in the recycling/trash. Why are libraries/librarians so bad at throwing out useless junk? Ha, and it’s “2.0” Love it. Sort of missed that. All good things are 2.0, right?